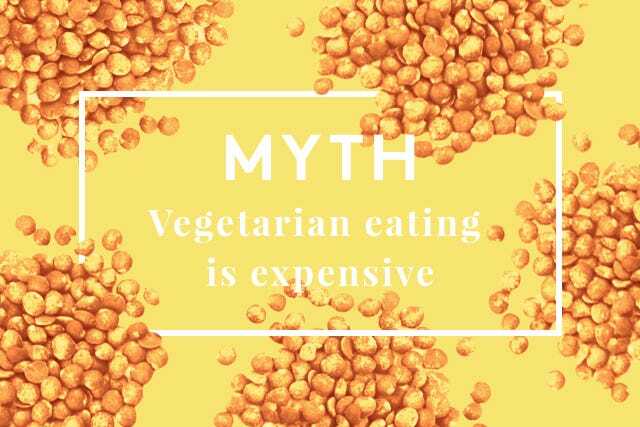 When it comes to vegetarian eating, myths abound. 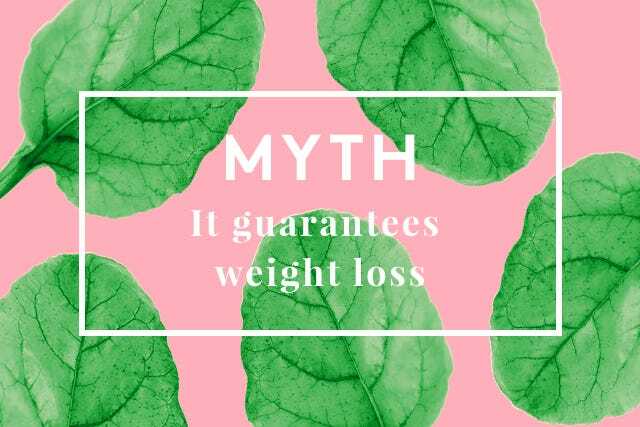 And, if you haven't at least thought about slimming your steak habit in the last year, you're probably falling prey to them. 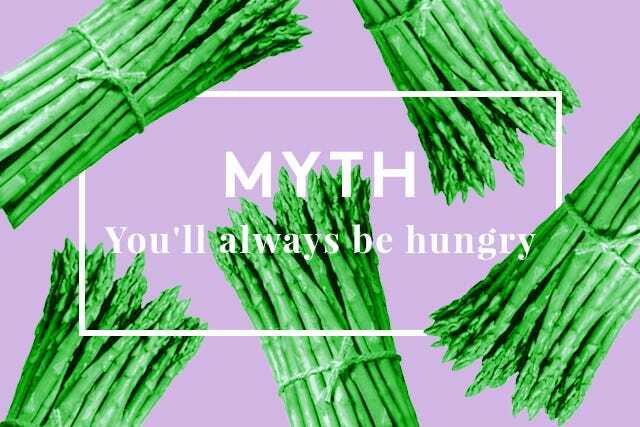 Here, we uncover the truth about the top 10 veggie-eating myths. 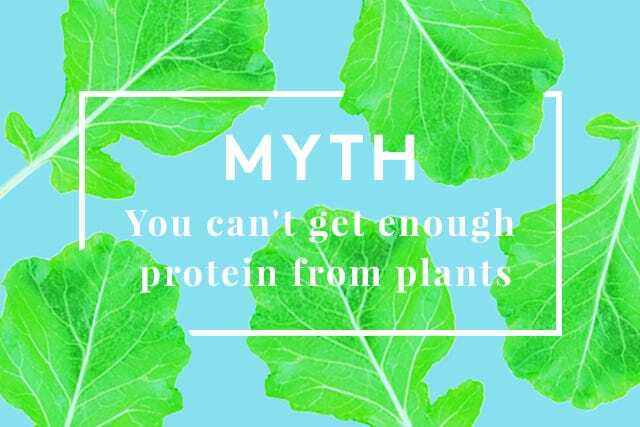 Meat doesn't have a monopoly on protein. In fact, almost all foods (except alcohol and sugar) contain some. A half-cup of beans even has about the same amount of protein as one ounce of meat. To get all of your essential amino acids, focus on eating a variety of protein-packed plants, including lentils, beans, nuts, seeds, and milk (almond works if you're cutting out dairy), recommends Eric C. Sharer, MPH, RD, from the Academy of Nutrition and Dietetics' Vegetarian Nutrition Dietetic Practice Group. Bonus: Vegetarian diets tend to have higher levels of fiber, magnesium, potassium, folate, carotenoids, flavonoids, and vitamins C and E than omnivorous ones. If vegetarian athletes Venus Williams and Carmelo Anthony can cut out meat and stay on top of their game, you can certainly fuel your workout on plants, says nutritionist and sports dietitian Tara Gidus, RD. A vegetarian diet fuels performance just as well as a meat-based diet as long as you're careful to seek out other sources of certain nutrients that are more commonly found in animal products (like protein and vitamin B12). Not all vegetarians are slim — or healthy, for that matter, Gidus says. "Vegetarians who eliminate meat, but continue to eat highly processed foods are not getting the benefits of a plant-based diet." So, when you sub out meat, make sure a plant, not processed junk, takes its place. Though pregnancy isn't the right time to experiment with your eating plan, a woman who is already following a healthy plant-based diet is less likely to gain excessive pregnancy pounds, reducing her risk for gestational diabetes and high blood pressure, says Reed Mangels, PhD, RD, nutrition advisor for The Vegetarian Resource Group. However, pregnant women do need to gain some weight. Mangels suggests eating more nuts, nut butters, dried fruits, soy beans, and bean dips. Sure, produce comes with a price tag, but at three-plus bucks per pound, meat is one of the priciest groceries money can buy, making vegetarian eating by and large less expensive, says Gidus. If your fresh produce is getting pricey, consider buying it frozen. Trimming your meat habit (even just a little) could cut your risk of cancer, diabetes, and heart disease. In fact, a 2009 study in Archives of Internal Medicine found that if women were to eat only nine grams of meat per 1,000 calories, 21% fewer women would die of heart disease. Even if you decide to go full-veg for health reasons, it's okay to give in and have a buffalo wing during the game or a slice of turkey on Thanksgiving. After all, one Journal of Clinical Nutrition study found that two-thirds of self-professed vegetarians have eaten some meat in the past day — and are still healthier. If you're hungry on a no-meat diet, you are doing something wrong — namely, not getting enough fiber, fat, or protein, says Drew Ramsey, MD, assistant clinical professor of psychiatry at Columbia University and author of 50 Shades of Kale. Fiber, the indigestible part of a plant, literally keeps your gut full and stabilizes blood sugar levels to prevent cravings, while fat and protein are both energy-rich and slow to digest. So, if your stomach is growling, grab a handful of nuts. They're packed with a power combo of fiber, protein, and healthy fats. Meat substitutes are often full of sodium, preservatives, and additives, says Dr. Ramsey, so in some cases, it's healthier to just eat the real thing (remember, vegetarianism doesn't have to be all or nothing). There are healthy meat substitutes out there — just be sure to read food labels carefully. Most people — especially if they cut out processed foods — actually have more energy after switching to a vegetarian diet, Dr. Ramsey says. 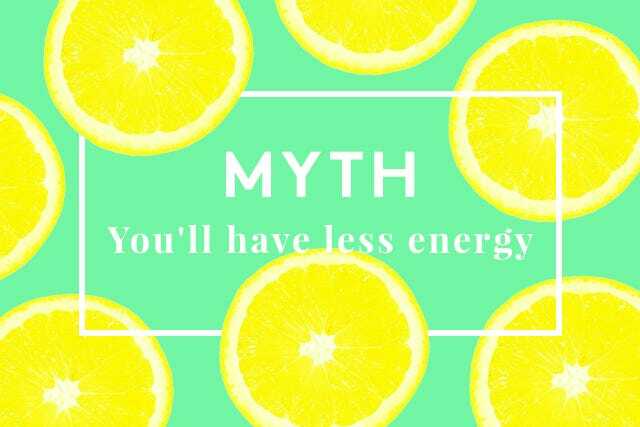 If your energy levels do drop, you probably aren't getting enough vitamin B12 or iron. These nutrients are both rich in meat, but are also found in dairy and eggs, and plenty of non-animal products are fortified with B12. To get the most from iron-rich foods like spinach, lentils, chickpeas, beans, and cashews, eat them alongside vitamin C-filled foods like oranges, tomatoes, and broccoli. Vitamin C actually helps your body absorb more iron. No meat doesn't mean no fun. Once you break out of the "I'll just have a salad" box, and experiment with new produce picks and preparations, vegetarian recipes can be anything but repetitive. Case in point: these 43 vegetarian recipes. If your menu is stuck, consider taking a vegetarian cooking class. Most cooking schools offer special no-meat sessions that teach skills including how to cook tofu, anchor a meal without meat, and work with legumes.